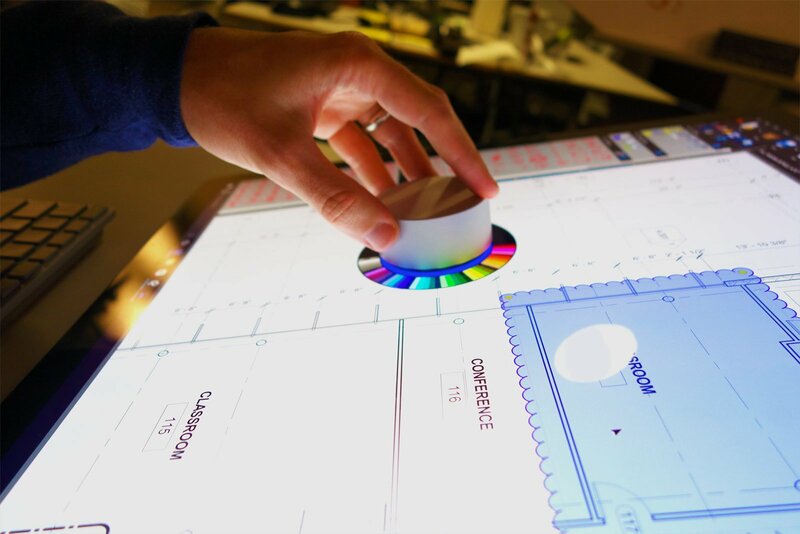 MEET THE MICROSOFT SURFACE STUDIO AND THE SURFACE DIAL—THE LATEST TOOLS PROVIDING ENHANCED WORKFLOW SUPPORT FOR THE AEC INDUSTRY. 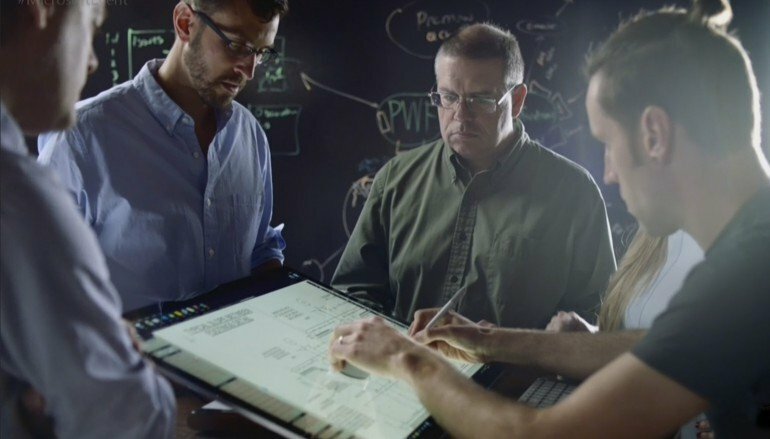 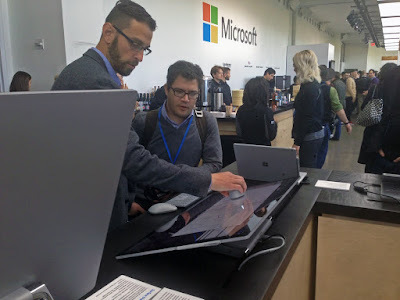 The release of the Microsoft Surface Studio and the Microsoft Surface Dial marks the culmination of a collaboration between technology giant Microsoft and Architecture, Engineering and Construction (AEC) solutions leader Bluebeam, Inc. Called on by Microsoft to develop new solutions based on the Microsoft Surface Studio platform, Bluebeam development specialists began working to highlight the strengths of the new hardware and combine them with the efficiency of Bluebeam software within the AEC project-based marketplace. Using the Surface Dial on the screen of the Surface Studio to manipulate digital PDFs in Bluebeam Revu adds a new dimension within the workflows already familiar to users of the program, and shows promising potential for the AEC user base that is already used to working in Revu on the Microsoft Surface line of tablet devices. Matthew Gotterer shows a member of the press in a demo of Revu on the Microsoft Surface Studio at the Microsoft release event in New York City.